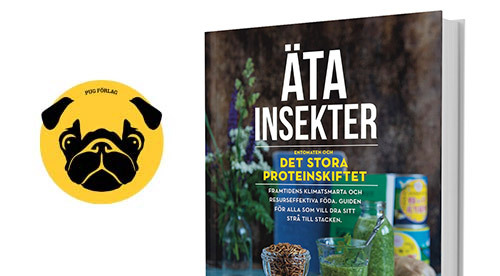 Finnish bee keepers are already selling bee drone larvae as food - Bug Burger - äta insekter! When Finnish authorities the 20th of September announced that they would make edible insects legal, Finnish companies were prepared. One example is major food company Fazer that made headline news all around the world last week with their cricket bread. According to an interview Bugburger did with Finnish insect chef Topi Karenius Fazer are not alone. Companies like Kotipizza and Mattila Bros are preparing insect food, and he also told me that one of Finlands largest honey producers, Komppa-Seppälä has prepared by freezing bee drone larvae that were harvested this summer. Anders: First from a friend of mine, a Swedish insect chef who wonders if it is possible for us Swedes to buy bee drone larvae from you? Vertti Seppälä: At the moment we have been selling only frozen drones, so I think it’s too hard to ship them. But recently we tried to dry them with good results and i think those would be viable for shipping to Sweden. It still needs a bit more experimenting, but should be possible near future. Vertti Seppälä holding a packet of “B’drones”. This exclusive food costs 57 euros per kilo (including tax). Anders: How much drone bee larvae do you harvest each year? Vertti: This year was the first one that we tried to harvest drones. We did not put much effort on it because selling them was still a bit “iffy” in summer before the law changes. Still we managed to get around 80kg of drones after they have been cleaned from wax. If we would really invest in drone harvesting i think we would get 1000-1500kg of it. The weights are while they are frozen. Anders: How much have you saved? Vertti: Currently we have around 40kg of drones left, but looks like they will find their way to kitchens soon. Anders: Do you think this can be an important side product to the honey? Vertti: Yes I think drones can be same kind of side product to beekeeping as beeswax, propolis and pollen are or even bigger. Once you already have beehives it takes little to no effort to get them, because you would take them out of the hive as part of protection against the varroa mites anyway. After that they need some processing to get them out of wax, but that is manageable even by hand, once you get them frozen. I think drones are awesome product by themselves and with a little bit of product development they can be even better. Anders: Who buys the drone larvae in Finland? Vertti: Currently we have been selling drones mostly to restaurants who promote organic, local and ecological food. One Michelin Star chef made premium handmade drone chocolate by using our drones, that was recently placed in local market . A couple of companies also brought up their interest to use drones in their new products. Anders: Are there other bee keepers in Finland looking at doing the same? Vertti: There has been some interest to it and i think there will be many that will start to market them. But in how big scale that I don’t know, i guess we find it out next summer season. We are also thinking about doing some cooperation with other beekeepers to combine our forces to make the processing easier. Anders: Have you tasted bee larvae, and if so: do you like it? Vertti: Yes, I have. I usually just fry them on pan with some butter and salt, because that way you can really taste the drone. I would describe the taste nutty and mushroom like and yes its good. I think because of the taste, drones would suit best in desserts, appetizers and salads. But as always when it comes to food only imagination is the limit. Anders: Topi Karenius said that potentially 40 000 kilos of drone larvae is thrown away every year in Finland. Do you think that this is a correct estimate? Vertti: There are 55 000 beehives in Finland and during varroa protection around 1 kilo of drone is harvested from each hive. So i think 40 000 kilos is pretty accurate estimate. Anders: You said you harvested 80 kilos this summer. How many beehives you have that can harvest so much drone larvae? And: How do you do it? A Swedish bee keeper I was in contact with said it was quite a lot of work and not worth the effort getting the exact timing for the harvest. Vertti: Currently we have around 1500 hives and every one of those is good for harvesting. I think the timing will be the hardest thing for us too. Because honey will still be number one thing for us, so the timings will be determinated by the times we need to go to the hives. There will be some that can’t be harvested because of that, but atleast last year it worked just fine for us. Maybe if business around drones will grow we can schedule the timings better but for now we have to manage with this. Vertti: Okay I will put one kilo in store for you ! Thank you Vertti Seppälä for that, and thank you for the first Swedish interview ever with a bee drone larvae farmer! Anyone who’s got a good thermal bag/box that I can take with me when I take the ferry to Finland? PS… There are really exciting things happening in Finland at the moment. Yesterday Nordic Insect Economy made it official that they are building the “largest food-grade insect rearing facility in Europe”! Pingback: Finland's edible insect industry growth : An environment to eat insects? Trackback: Finland's edible insect industry growth : An environment to eat insects?